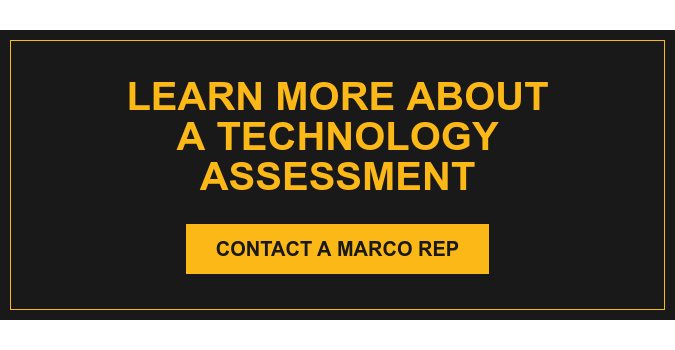 Here are just a few reasons why partnering with Marco for your technology services is the right decision. Our fun, flexible and family-friendly workplace has earned us a generous list of awards. Marco has consistently been named as a top workplace by the Star Tribune, Minneapolis St. Paul Business Journal and Minnesota Business. We believe "doing good" is just as important as doing well. So we are committed to giving back to the communities we serve. We contribute financially, sponsor events, participate in fundraisers and encourage employees to volunteer on and off company time. We have consistently been sending out monthly surveys and measuring the results since 1994 to make sure we're doing everything we can to keep our customers happy. We're proud to say that 90% of customers surveyed say they would recommend Marco. We use Lean continuous improvement principles to keep us focused on working smarter. Because the more efficiently we operate on the inside, the better service we offer on the outside. You have access to a depth of technical expertise to help you stay on top of the latest technologies. Our technical staff is certified at the highest levels for their area of expertise because your business deserves nothing less. Marco's online services make it easy to send a service request, order supplies and check your account history in real time. Our full-time dispatchers and support desk representatives consistently maintain a 98% live call answer rate and resolve 97% of service issues remotely so you experience less down time. We use real-time GPS technology to determine which resource is closest to your location when on-site service is needed. You benefit from the innovation and resources of our industry leading partners. Together we are committed to helping you connect the right technology to achieve your business goals.